Something brought to my attention which I couldn’t help but laugh at. 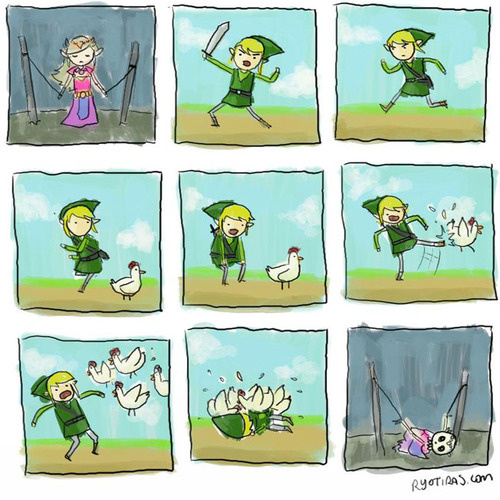 If Zelda were real, my money would be on this being Link’s doom; I mean come on if you’re reading this I’m betting you’ve atleast died once to an army of Cuccos. Props to JT for finding this, and ryotiras.com for creating it.